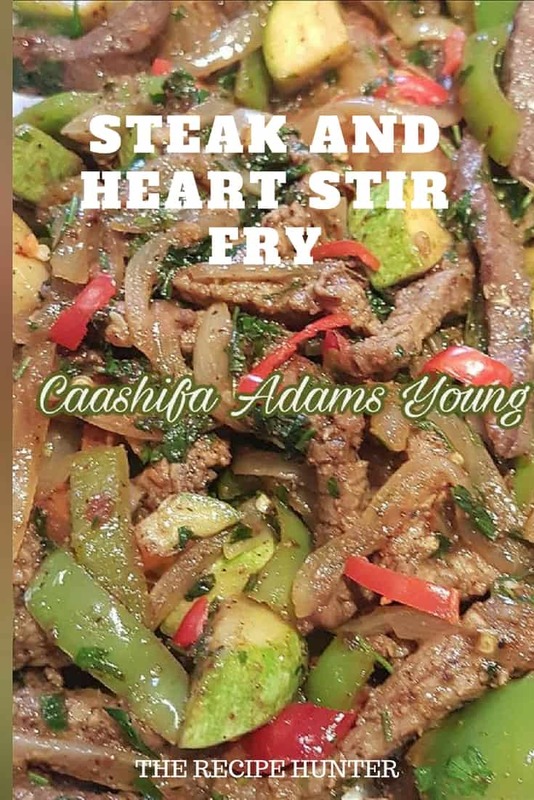 Combine the steak and heart strips. Cover in half quantity of spices and seasoning. Drizzle over olive oil and marinade over night. Heat 2 Tblsps olive oil and fry the meat till browned on both sides. Remove from the pan and add the veg to the pan juices. Add the remaining spices and seasoning and fry till the veg is tender. Combine the meat with the veg and toss to mix well.